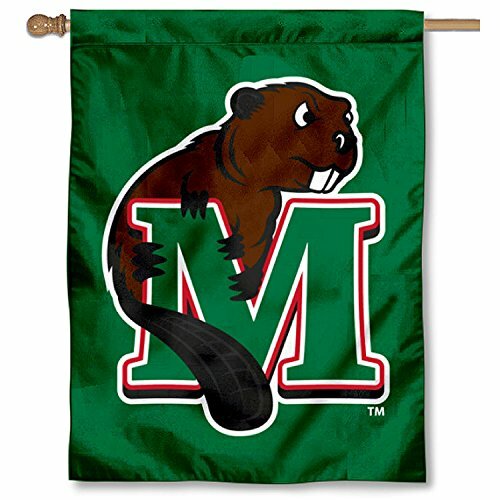 This MSU Beavers Double Sided House Flag measures 30" x 40" in size, is made of 2-Ply Polyester with sewn liner, and has a top pole sleeve to slide over your flagpole or banner pole. These House Flags are NCAA and Minot State University Officially Licensed and the double sided Screen Printed logos are Viewable and Readable Correctly on Both Sides. Morigins Lucky Clovers Double-Sided Decorative St. Patrick's Day House Flag 28"x40"
Morigins Welcome Clover Garden Decorative St.Patrick's Day Double Sided House Flag 28"x40"